Okay, so I found this the other day... I actually forgot that I had it! I'm very unsure how this happened because it's simply so pretty. It is the face palette from Clarins' limited edition Odyssey Collection of Winter '12. It comes packaged in the typical Clarins red box, and when you open it, you feel like a princess thanks to the luxurious red velvet type pocket the compact itself is in. 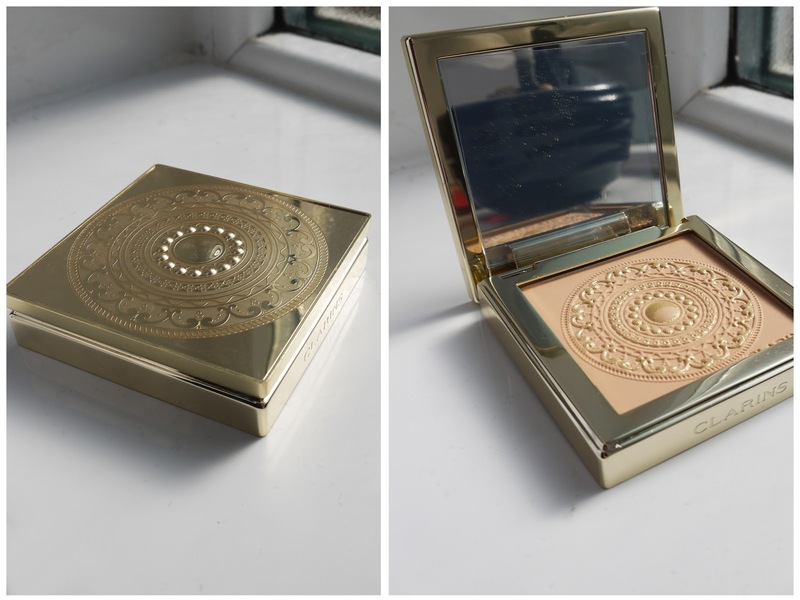 Once you've brushed over the gold shimmer embossed in the powder it becomes simply a face powder, although I feel it isn't the most regular face powder and does manage to make you look glowing. How it does this, I'm not sure.. But why would I question glowing skin?! So anyway, before I used it, I thought I'd share the simple Greek inspired elegance of this product. Plus, I now have my eyes on the Splendours Summer '13 collection, which is much more Egyptian inspired and is also super pretty and intricately designed like this, see here. One of my favourite little sections in my bathroom comes courtesy of Soap and Glory. Since it first came out I have been loving this brand, and there isn't a family birthday (the girls in the family, that is!) or Christmas that goes by without S&G gifts. The prices of their products are completely reasonable, and the majority of products are under £10, they can be found in Boots online and in-store, very often as part of a 3 for 2 offer. Girly scents, vintage inspired packaging, and cheap prices... what else can a girl ask for?! Miss Dior... I see you there. My favourite in-shower duo at the moment is a combination of The Scrub of Your Life and Foam-Call. I love these two products, this must be the fifth time I've repurchased the scrub, its just amazing for rejuvenating your skin and getting rid of all the icky-ness (note: term may not be scientifically correct) that comes with fake-tanning and winter months. This isn't too abrasive at all, and I think would be suitable for all skin types. 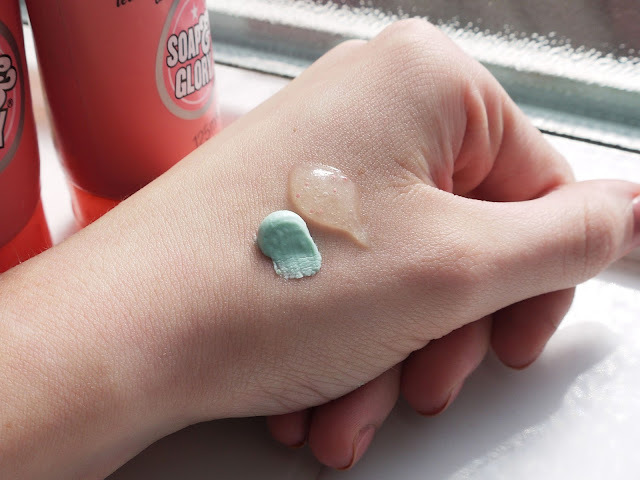 Foam Call makes the perfect accompanying product to the scrub, much unlike other washes I've tried, it feels slightly moisturising and as the name suggest it foams up well, meaning a little goes a long way. I've had this for months and I haven't even used a quarter of it!! Despite my HUGE S&G collection, this is one of my only face products (of that I've tried) and I think its amazing, it has the tiniest exfoliating particles that remove dead skin from the face. Although my skin is very much normal on my face, not often spotty or dry, I find this just keeps my skin looking smooth and glowing. This is the only facial scrub I have ever liked. 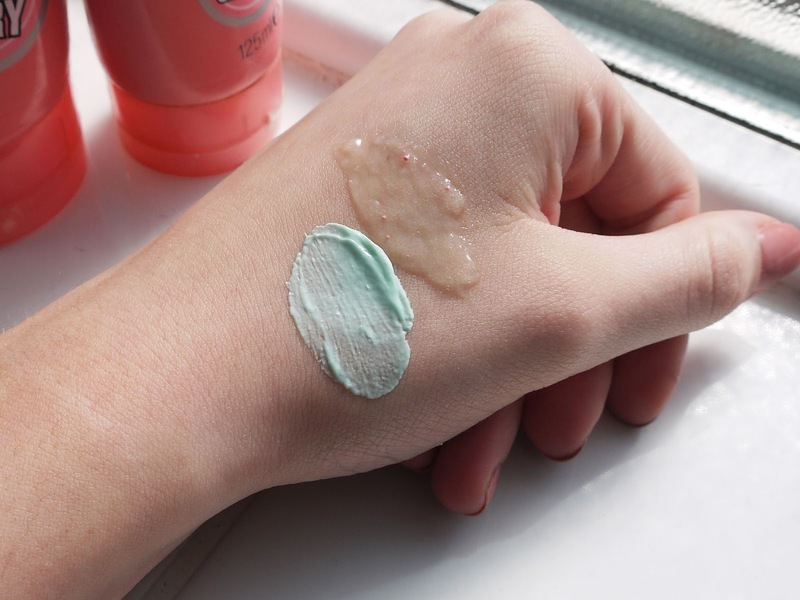 The consistency of SYNIT is very creamy, and almost looks like a moisturiser, except its got a blue tint to it, how cute is that?! The consistency of TSOYL couldn't be more different to the facial one, with its gel-like texture and visible exfoliating particles this makes this the most perfect scrub I have ever used. 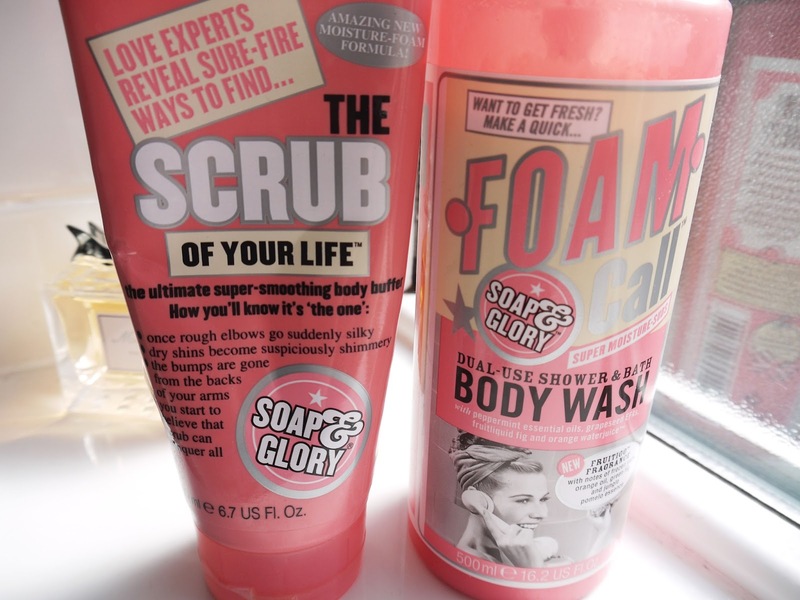 Soap and Glory are my go-to for body products, and I rarely ever branch out of these products, they're just perfect for what I wish to achieve from my bodycare. I 100% recommend these to anyone thinking of trying S&G products, or wanting a revamp of their bodycare routine.